Since the dawn of the Industrial Era, urbanization is considered to be an inevitable and universal process. This is because urbanization and urban areas have conditions that are prerequisites for the industrial and technological revolutions and the associated economic development that followed. The conditions for industrialization includes access to capital, entrepreneurs ready to use the capital in innovative ways, an easily accessible and open market and the availability of manpower. These conditions are less likely to develop in rural landscapes. India has been dominated by agricultural landscapes throughout this time. Even today, agriculture employs more than half of the population in the country. However, this is fast changing. India is heavily investing in industrial and technological development, which means urbanization is an inevitable result. This is backed by statistics. Urban India’s contribution to the GDP increased from 47 per cent in 1981 and is expected to reach 75 per cent in 2020. Urban land is expected to house 590 million people and emerging cities are termed as the “engines of future growth”. The number of Census towns in India increased from 1362 to 3894 between 1961 and 2011; a 186% increase. The total area of all classes of Towns and Cities increased from 38509.28 square kilometers in 1961 to 78199.66 square kilometers in 2001. India has 35 cities in India with a population of over 1 million. How is India dealing with this situation? Unfortunately, the country is unable to effectively manage the rapid urbanization happening in the country. Rural population, burdened by lack of opportunities and resources, are migrating to the urban areas in flocks; a process called “distress migration”. Lack of capacity for city management, the absence of integrated and comprehensive spatial and physical plans, and the financial weakness of ULBs. 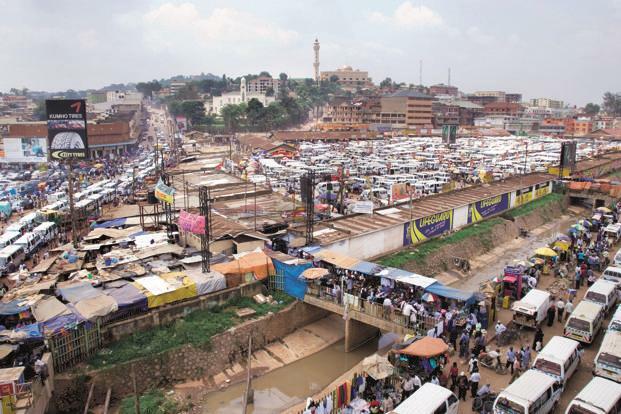 Lack of public participation in the planning of urban projects. The lack of reliable and complete data for effective urban management and developmental projects. Therefore, urban growth is happening in a haphazard and unplanned way. Cities are rapidly expanding horizontally and utilizing all of the surrounding land to build residential areas. Most of the urban opportunities are concentrated in urban city centers, which other localities are suffering from lack of jobs as well as other services like water and sanitation. Unplanned growth may bring gains in the obvious sense and the short-term, but also bring hidden problems and reduces the long-term viability of the city. An overwhelming majority of Indian cities today are deficient in basic services. Unfortunately, they are financially and infra-structurally weak to implement the necessary changes. The city of Dehradun, Uttarakhand is considered among one of the emerging cities of the country. It is a city situated in the Shivalik valley, and is surrounded by Deciduous Broad Leaf Forests and Evergreen Needle Leaf Forests. Ever since the city became the capital of the newly formed state of Uttarakhand in 2000, the city has seen rapid urban development. Most of this development is at the cost of the surrounding agricultural land and water bodies. A study shows that there was an increase in urban areas from 30.09 sq. km to 175.81 sq. km (490.9%) between 1985 and 2017. It comes at the cost of agricultural land (391.18 sq. km to 303.04 sq.) and water bodies (105.3 sq. km to 92.73 sq. km.). The forests surrounding this city have survived this onslaught because of their protected status. However, this could change. In 2016, the forests surrounding the hill station of Mussoorie were declassified and has see rapid deforestation in the last two years. Most of the emerging cities in the country (cities other than the 5 metropolitan cities) are on the verge of breaking new barriers. India has 35 cities in India with a population of over 1 million. These are the cities that are likely to attract more attention than smaller towns, as some amount of infrastructure has already been developed in these cities. Jobs, are a plenty. Fast implementation of innovative strategies and schemes is necessary to prevent such a situation. The government has recognized this and is actively coming up with schemes for urban development. Jawaharlal Nehru National Urban Renewal Mission was launched by the Ministry of Housing and Urban Affairs, as the first flagship scheme of this ministry in 2005. The Mission aims at creating economically productive, efficient, equitable and responsive cities in an integrated framework with focus on economic and social infrastructure, basic services to urban poor, urban sector reforms and strengthening Municipal Governments and their functioning. Another scheme; Scheme for Satellite Towns around Seven Megacities is also being heavily implemented around the 7 largest cities of the country. This scheme is focusing on building satellite towns with “smart city” infrastructure, that can accommodate the growing population and also decentralize economic power in urban areas. In my opinion, urban growth needs to adopt satellite towns into the development of existing urban infrastructure. Multi-polar cities are an interesting strategy for new urban centers. Green growth strategies prove to be very effective in the development of new cities, especially for aspects relating to infrastructure and transport. With the implementation of innovative green city strategies combined with the government schemes, urbanization is poised to drive the future growth of the economy in India. Urban Green Growth Strategies for Indian Cities Vol. 1. Tripathi, Sabyasachi. 2013. “An overview of India’s Urbanization, Urban Economic Growth and Urban Equity.” Munich Personal RePEc Archive. https://mpra.ub.uni-muenchen.de/45537/. Ministry of Housing and Urban Affairs: http://mohua.gov.in. This article is partially based on my Master’s thesis.